1940 - The decline in sales was compensated to some extent by a new area of operations within Swedish defence. Volvo's design department had its hands full designing producer-gas units and special vehicles. 1941 - The successor to the PV53-56 was to have been the PV60, a larger car in the American style. Deliveries, which were due to begin in May 1940, had to be postponed. 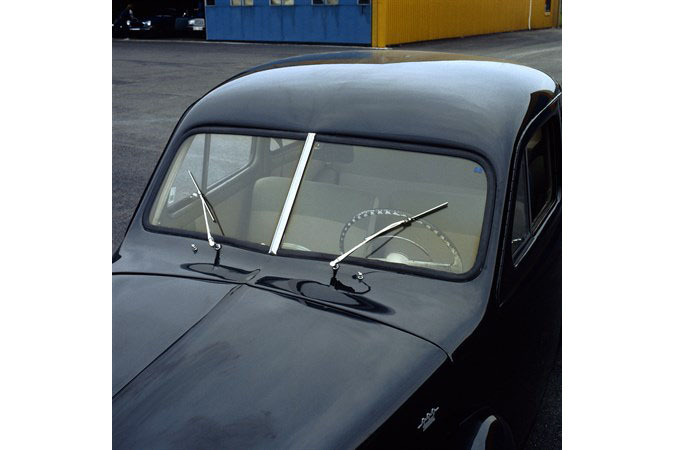 Even so, Volvo built a number of prototypes in which the bodywork was developed in different ways. 1942 -Volvo purchased Köpings Mekaniska Verkstad AB, which had supplied the company with gears and gearboxes since the start. 1943 - PV444, was due to be introduced in the autumn of 1944. 1944 - introduction of PV444 - the people's choice. 1945 - fortunately the war ended. But a long strike began in the engineering industry and the plans for rapid production had to be shelved. 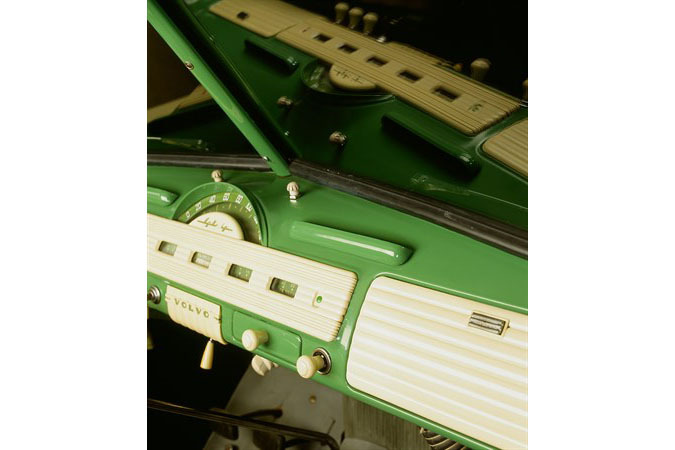 1946 - The production of the PV60 began on a modest scale, but efforts focused on getting the PV444 under way. 1947 - At the start of the year a test series of ten PV444s was built to check that the production process functioned. 1948 - Almost 3,000 cars were produced and all but a few hundred were PV444s. 1949 - It was decided to produce another 700 PV444s in addition to the 12,000 that had already been approved in a special version called the PV444S. 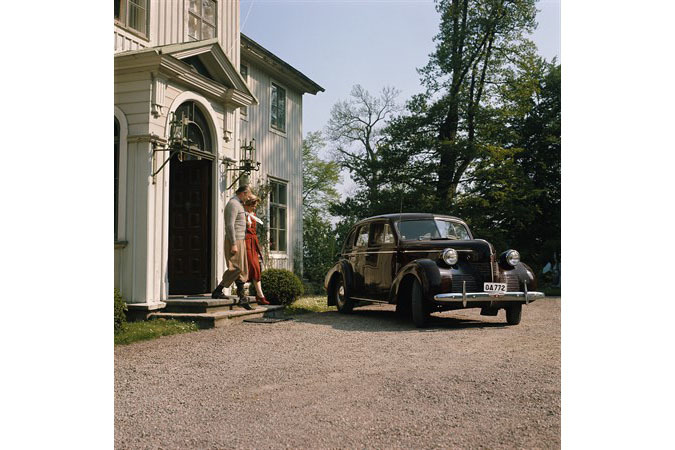 The Second World War caused Volvo's sales to fall from 7,306 vehicles to 5,900. The reason for this was petrol rationing and the increasing shortage of materials, including car tyres. Assar Gabrielsson himself wrote the following about the time at which war broke out: "Then the war came and the situation changed as if by magic. Sales ceased almost completely and the people who had been screaming loudest for deliveries started to send in cancellations. " The decline in sales was compensated to some extent by a new area of operations within Swedish defence. Volvo's design department had its hands full designing producergas units and special vehicles for the army. A jeep was one of the vehicles to be presented. During the first year of the war Volvo sold 7,000 producergas units; the majority of them went to the defence forces, but some were bought by private individuals. The production of the PV53-56 continued, however, even though it was virtually impossible to get parts from abroad. Some of the cars were equipped with a modified engine, the ECG, in which the C1 stood for Gas (producer-gas). It had an output of 50 hp. The successor to the PV5356 was to have been the PV60, a larger car in the American style. Deliveries, which were due to begin in May 1940, had to be postponed. 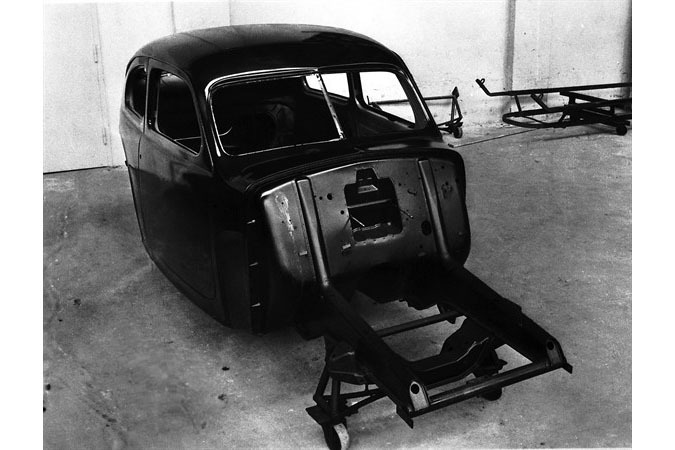 Even so, Volvo built a number of prototypes in which the bodywork was developed in different ways. On September 6th Volvo delivered the 50,000th vehicle. Considering the situation in the world at that time, it is perhaps hardly suprising that the jubilee vehicle this time was a truck. During the year, Volvo acquired a majority shareholding in Svenska Flygmotor AB. The intention was that deliveries of the PV60 should start in 1941, but the war interfered with these plans, and the shortage of raw materials delayed introduction of this model until 1946. Four more prototypes of the PV60 were built between 1942 and 1943. The rear doors on these cars were hung on the rear edge and the hub caps were relatively small. Volvo was planning to have this new car ready when the war ended. Plans for another, smaller car also began to assume a more definite shape. The Volvo management appointed a team of about 40 people to create this small post-war car. Volvo purchased Kopings Mekaniska Verkstad AB, which had supplied the company with gears and gearboxes since the start. Volvo's share capital was increased to 37.5 million kronor. The plans for the post-war period were now well under way. The new, small car, which had been christened the PV444, was due to be introduced in the autumn of 1944. Even at this stage Volvo knew that the car would be unique, as it combined American design with European size. This later proved to be a highly successful combination. It was also decided that the PV444 would have a 4-cylinder engine and rear-wheel drive. In Europe the war raged on and Volvo continued to manufacture producer-gas units and special vehicles for the army alongside this design and development work. Alongside the product development which has focused on putting cars into production, Volvo has developed a number of experimental vehicles, just like the majority of car manufacturers. An entirely new rear-engine car called the PV40 had been designed at the beginning of the 1940's. The engine was to have eight cylinders in a star formation, fitted in pairs and positioned over the rear axle. Output was 70 hp. Despite good test results, the project was abandoned - one of the reasons was that the engine was considered to be too expensive to produce. During the spring, more prototypes of the PV444 were produced. The design of the body was strongly influenced by American trends and there was no question that the unconventional unitised body, which was made entirely of steel, was going to make an impression on the Swedish market. The engine, a short-stroke 4-cylinder version, was extremely economical on petrol and developed 40 hp. It was known as the B4B and was the smallest engine Volvo had developed, as well as being its first overhead valve engine. The gearbox was a three-speed in which the top two gears were synchronised. 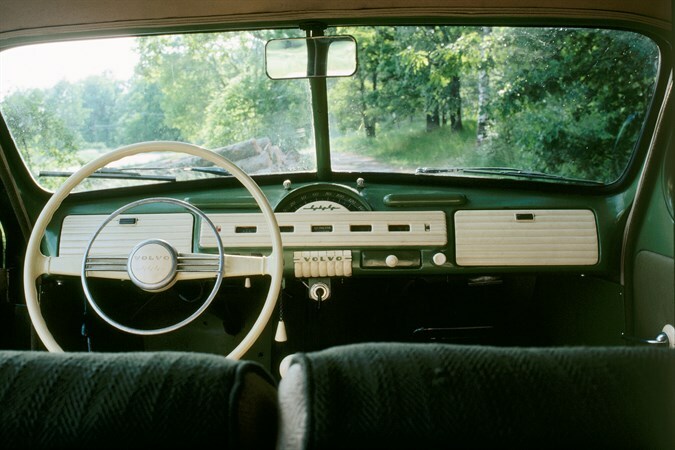 This car was also equipped with a world first in safety - the laminated windscreen. The PV444 was given its first showing at the large Volvo exhibition in Stockholm in September, where it aroused tremendous interest. The PV60 was also shown to the 150,000 visitors who came to 10-day exhibition. The day before the exhibition opened, the price of the PV444 was announced - 4,800 Swedish kronor. A highly attractive price - the same as the first Volvo car, the OV4, had cost 17 years earlier! During the exhibition and the days which followed 2,300 contracts were signed. Interest in the PV444 was so great that people were prepared to pay double and more for contracts with an early delivery date. Even so, it would be 1947 before de liveries of the PV444 began. The final version of the PV60 which was presented at the exhibition was basically a development of the pre-war models. The car was regarded as a good vehicle, albeit fairly boring, but sales went better than expected. In all, 3,000 PV60's and 500 PV61's, which was a chassis version of the same model, were produced. After the highly successful introduction of the PV444, Volvo suffered a serious setback. A long strike began in the engineering industry. Volvo's plans for rapid production had to be shelved. Even so, two cars that could be driven were completed and, together with the prototype, Volvo was able to start testing them. One of them was driven for several weeks on poor gravel roads - from Skane in the south of Sweden to Kiruna in the north. Petrol rationing was still in force, but Volvo was given special permission to buy petrol which was divided between depots along the test routes. In all, these cars drove 30,000 km and people turned out in force to see "The belle of the automobile world", as the car was called in the dealer advertisements all over the country. The after-effects of the strike in the engineering industry were still hampering Volvo's plans for full production. The production of the PV60 began on a modest scale, but efforts focused on getting the PV444 under way. Steel had to be obtained for the bodies and suppliers in the US were contacted, but without success. Not until Volvo's chief engineer Karl Lindblom took a demonstration car to the US did the sheet metal suppliers relent. It was planned to begin production in 1947 - almost three years after the contracts had been signed at the Stockholm exhibition. At the start of the year a test series of ten PV444's was built to check that the production process functioned. Some changes were made from the original prototypes. 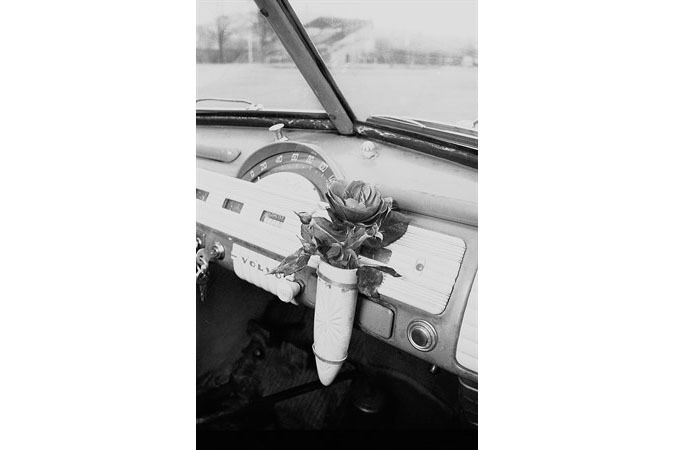 The taillights were modified; they had been round, but they now wrapped around the sides of the car. The indicators were incorporated in the central pillars and small 444 emblems were fitted on the sides of the bonnet. Series production began in February. By this time Volvo had already sold 10,181 of the 12,000 cars that had been planned. The production rate was slow to begin with and it would take some time before the PV444 became a common sight on the roads. The first 2,300 cars for which contracts had already been signed were sold at a loss. The price of 4,800 kronor from the Stockholm exhibition still applied, even though the actual price had risen to 8,000 kronor. 20 years after its establishment Volvo was now a large concern with a turnover of 112 million Swedish kronor and almost 3,000 employees. The end of the war brought with it a tremendous demand for vehicles and Volvo's truck sales doubled, while and bus sales increased six-fold in just a few years. 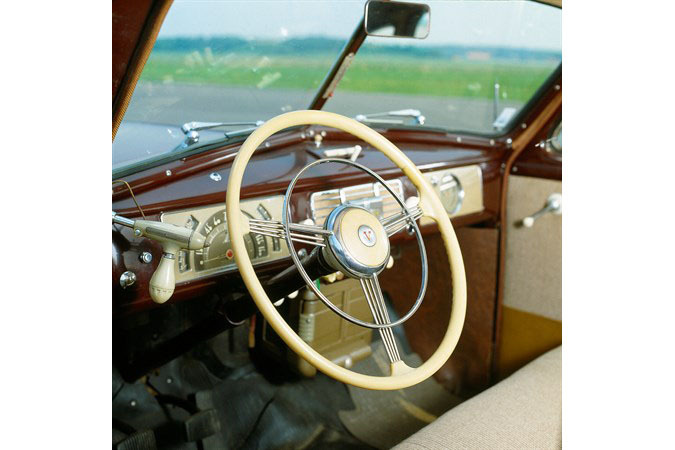 Volvo's total car production was the highest in the company's history in 1948. Almost 3,000 cars were produced and all but a few hundred were PV444's. 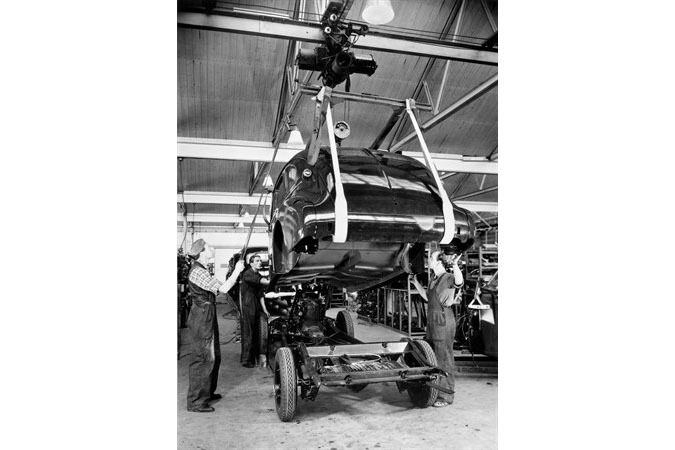 The production of the PV60 was gradually stepped up and taxis in the 800 Series were still in production. Sales of the PV444 had been stopped to enable production to catch up with demand. 1949 was the first year since the start in 1927 that Volvo produced more cars than trucks and buses. During the 1930s, car sales had been a complement to truck sales, but the turning-point had now been reached. It was decided to produce another 700 PV444's in addition to the 12,000 that had already been approved in a special version called the PV444S. This car was dove-grey instead of the compulsory black and the interior was red and grey. Certain exterior changes were made, but there were no mechanical differences. This car was offered exclusively to people with contracts who were able to buy the special model for an additional charge. Volvo had now produced a total of more than 100,000 vehicles, 20,000 of which had been exported. Some 6,000 people now worked for the Volvo Group. 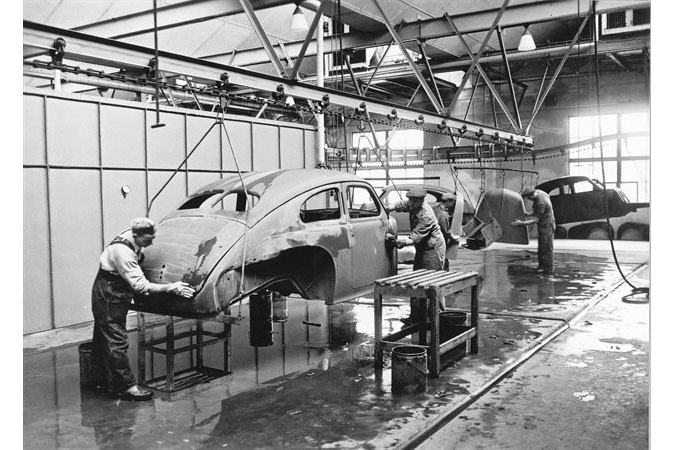 900 workers and 500 staff were employed at the car plant in Gothenburg.